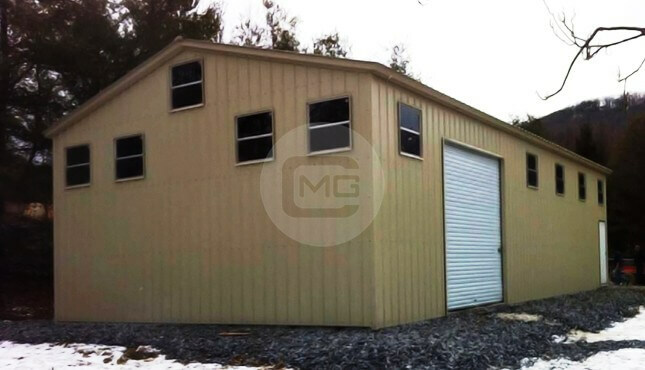 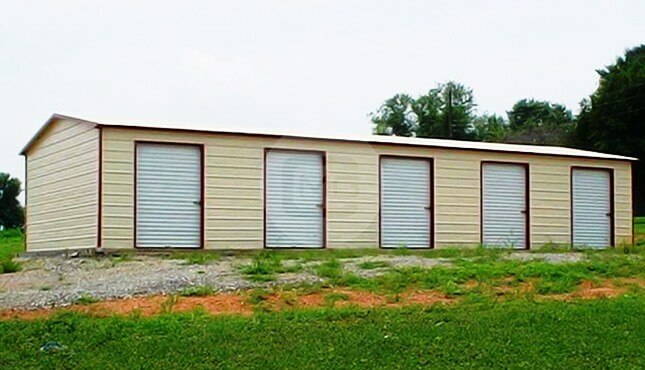 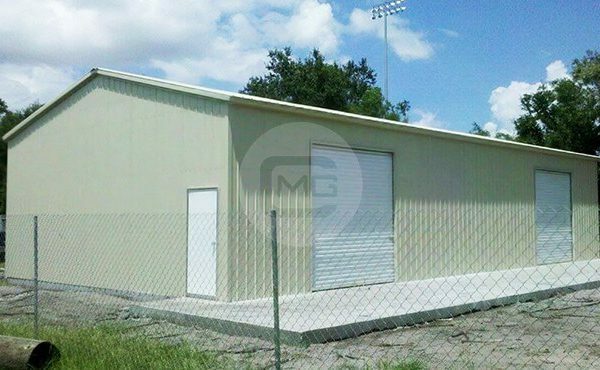 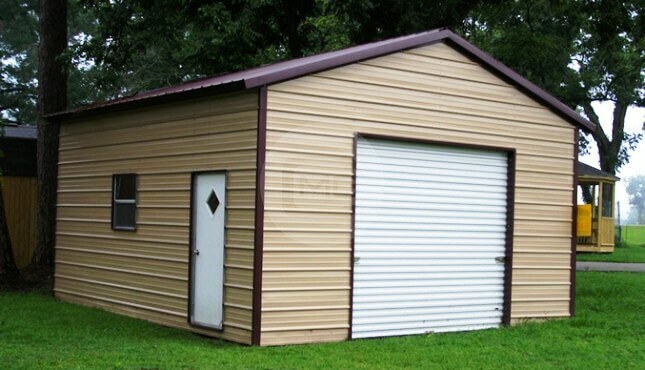 This 24x41x12′ metal workshop building features 14-gauge side and end vertical panels, two 10′ x 10′ roll-up doors and one walk-in door. 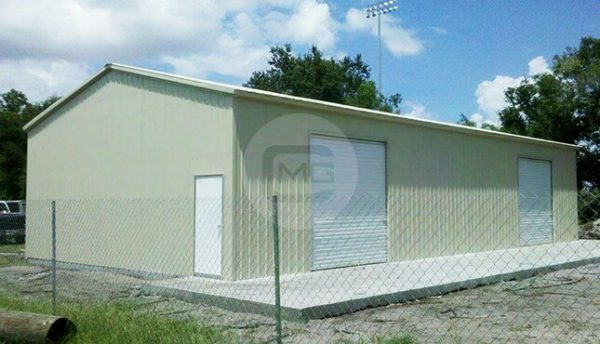 This steel workshop’s configuration provides easy access for vehicles or large pieces of equipment with plenty of space between access points. 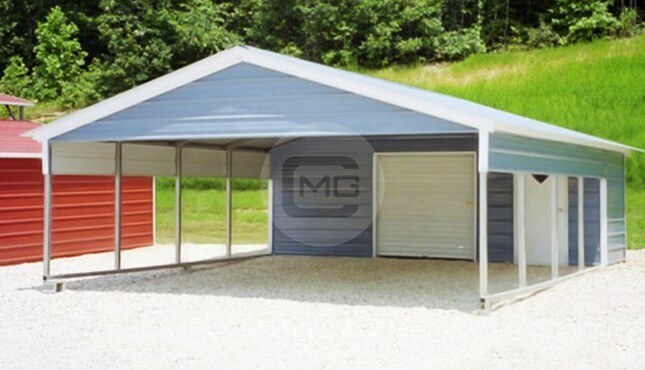 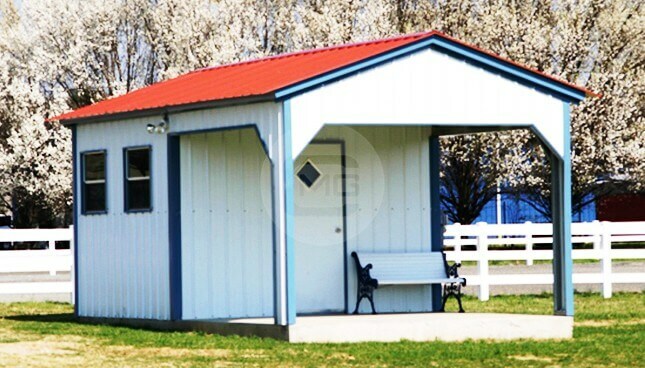 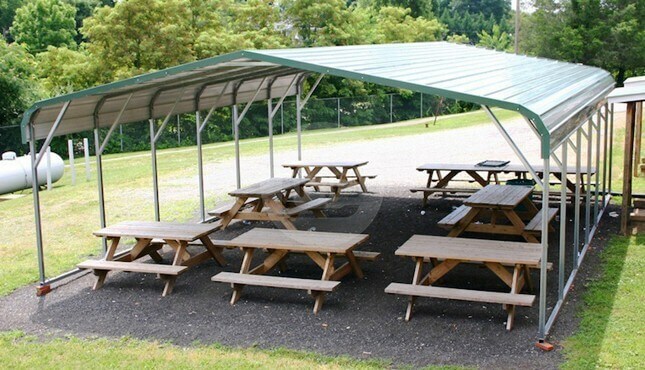 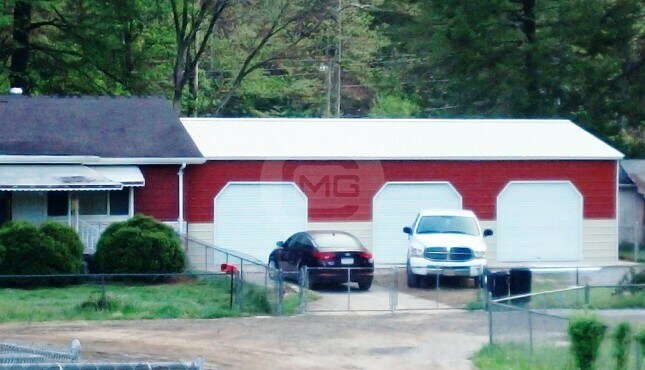 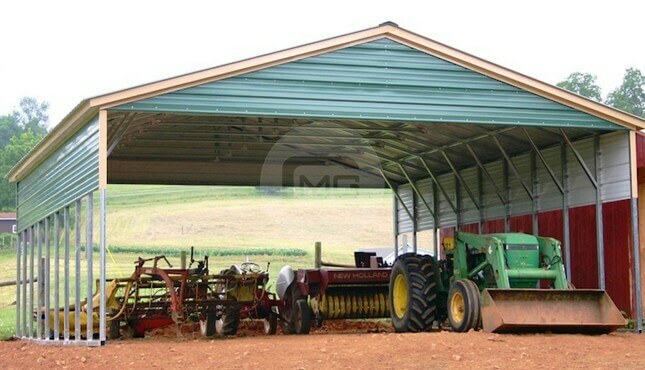 Its vertical roof style makes it ideal for climates in any part of the United States.